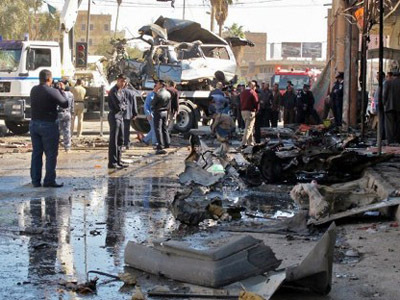 Two car bombs in a busy market went off in the southern Iraqi city of Diwaniya on Tuesday, killing 40 and wounding at least 75 according to police. 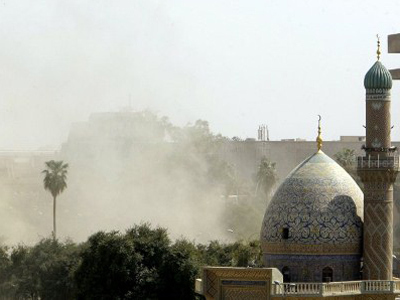 ­The Diwaniya bombing took place near a mosque, targeting Shi'ite pilgrims, who gather there on their way to Kebala. Police have announced a partial curfew and closed all entrances to the city. "All of a sudden the explosion happened, I felt the power of the blast, it was so strong, it broke all the glass in my windows," a butcher Ahmed Hassan, 23, told Reuters. His shop was close to where the explosion took place. "I smelled blood and gunpowder. We even saw body parts on the top of building, we took them down." Witnesses said the bomb appeared to have been planted in a delivery truck. 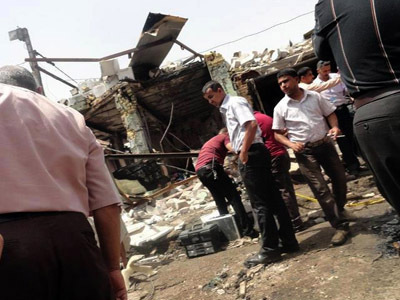 The attack is the latest in a series of sectarian violence, according to Reuters reports. 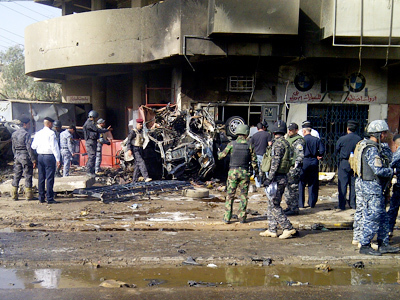 The attacked is also suspected to be targeting Shi'ite pilgrims on their way to Kerbala. Diwaniya is where shi’ite pilgrims are gathering this week, a stop on their way to Kerbala to celebrate the birthday of one of the most important imams. A spike in recent attacks has raised fears that the country may slip back into widespread violence between Sunni and Shi'ite Muslims.